Get to know Reed firsthand—the right college is about fit, and only Reed feels like Reed. Maybe it’s our students (intense, passionate intellectuals), or our faculty (outstanding scholars and inspiring teachers), or our traditions (Prom Dress Rugby, anyone?). Maybe it’s the groups and resources created by students (the comic book library) or our academic facilities (the nuclear reactor, the capital “L” Library). But what matters most is: what does Reed feel like to you? There’s no substitute for experience. We strongly encourage you to visit campus and talk to as many members of our community as you can about what it's like to live and study here. 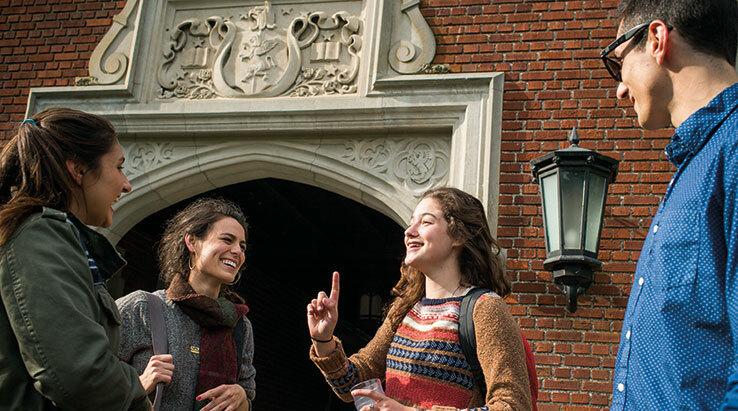 Visit during the academic year to experience the full energy of campus life. If you cannot make it during the school year, summer visits to Reed’s beautiful tree-shaded campus will give you the opportunity to meet with admission staff and student interns. For group visits of 5 or more, please contact us at campus.visit@reed.edu. We are happy to host groups up to 40 students total. We, unfortunately, do not have capacity to host groups during the month of April.